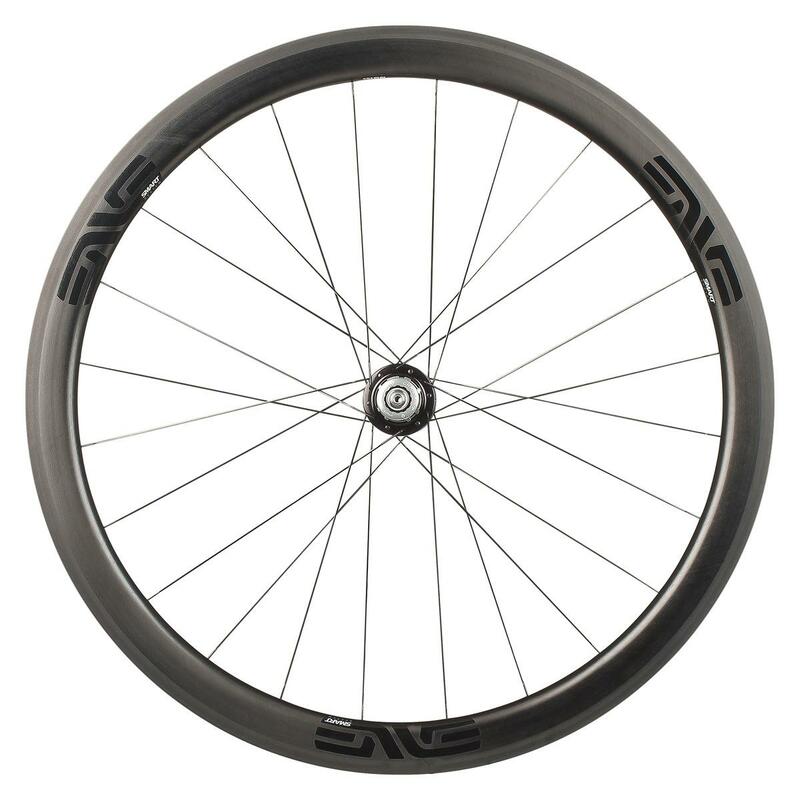 Wheel weight with R45 hubs: Front: 569g / Rear: 743g (Pair: 1312g). 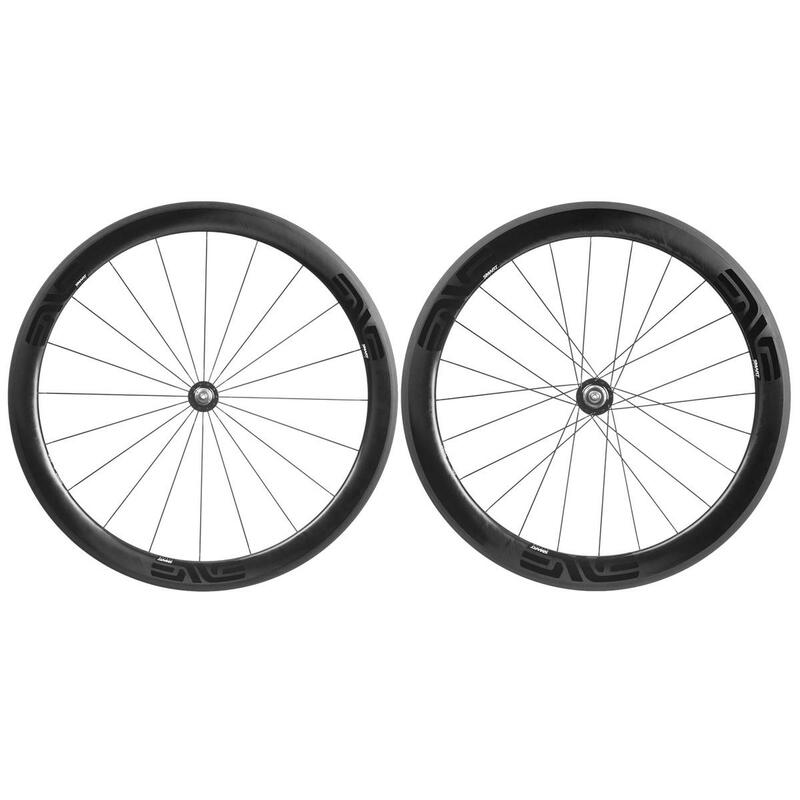 This is the wheelset for anyone who doesn't want to compromise on aerodynamics, speed or comfort. 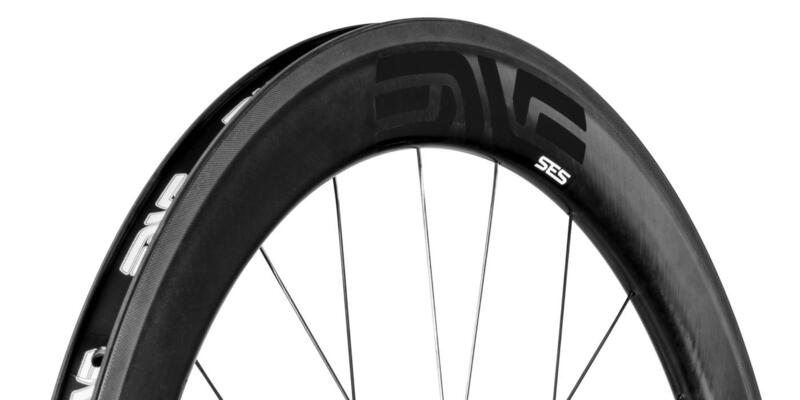 The second generation SES rim profile has been optimised for use with 25mm wide tyres (and will accomodate anything in the range of 22-28mm width). 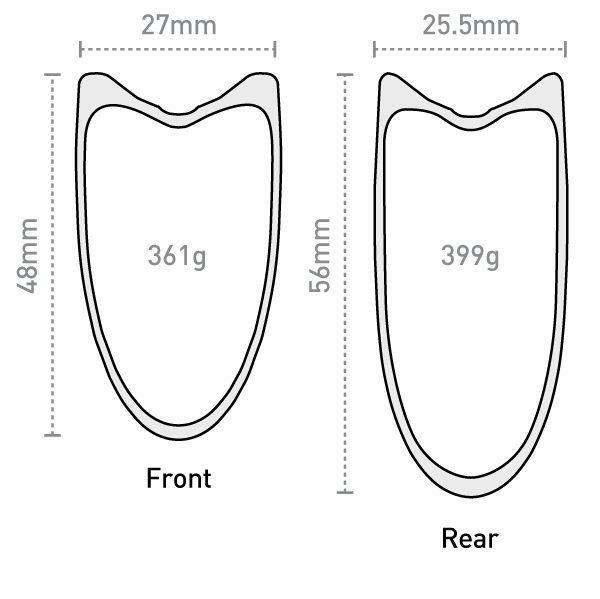 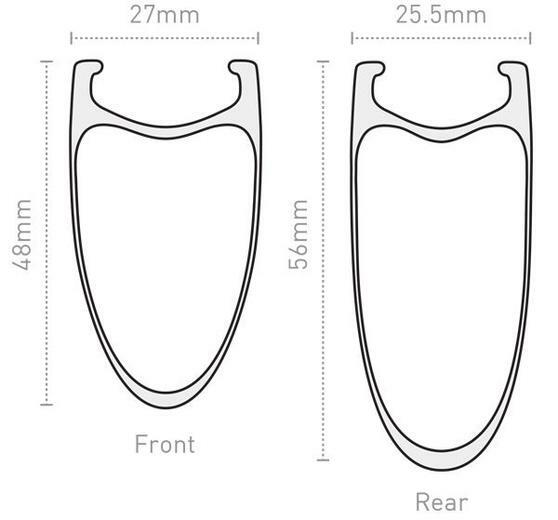 The front rim is actually 48mm deep and the rear 56mm, and both have been reshaped to make them as aero efficient as the old design 6.7 wheelset. 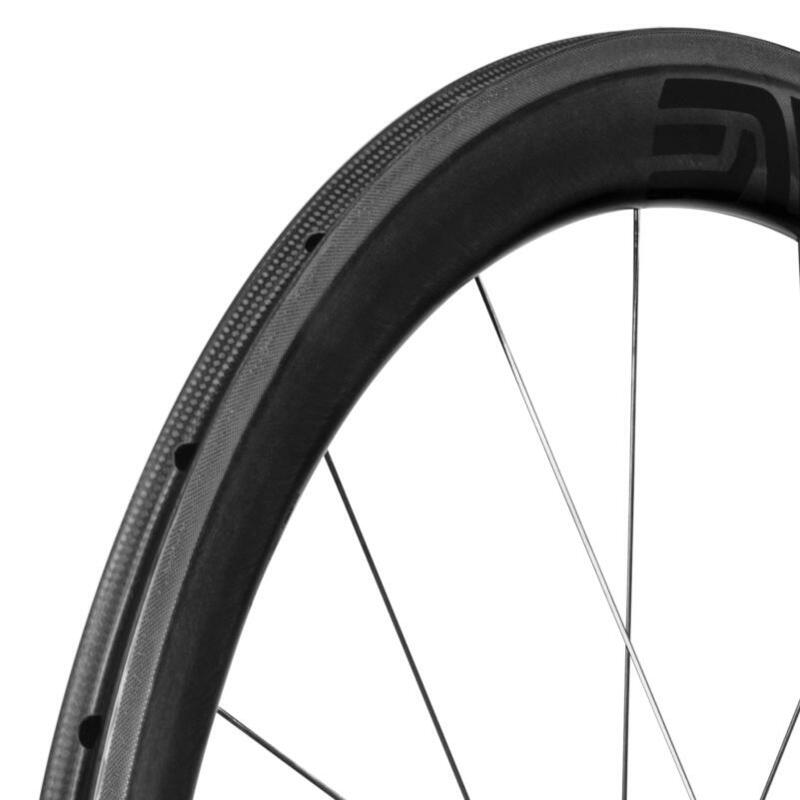 ENVE have developed a new carbon braking track which performs significantly better than it's predecessor - heat dissipation, noise and efficiency have all been improved.